Maury Island. Doesn't everyone believe that the Maury Island Incident is a hoax? Well, not everyone. J. Edgar Hoover didn't believe it was a hoax. In a Teletype of August 14, 1947, Hoover stated, "It would also appear that Dahl and Crisman did not admit the hoax to the army officers..." and FBI special agent in charge from Seattle George Wilcox answered, "Please be advised that Dahl did not admit to Brown that his story was a hoax but only stated that if questioned by authorities he was going to say it was a hoax because he did not want any further trouble over the matter." Fred Crisman not only didn't admit it was a hoax but in the January 1950 issue of FATE he called those accusations a "bald-faced lie." Ray Palmer didn't believe it was hoax. Ray published the case in FATE, vol 1, No. 1, 1948; "The Coming of the Saucers, 1952; and in The Real UFO Invasion, 1967. Kenneth Arnold didn't believe it was a hoax. 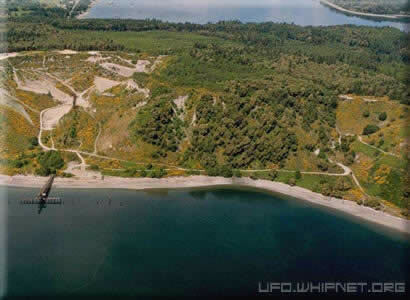 At the First International UFO Congress in Chicago, Arnold discussed the Maury Island incident at length as if it were true. Who does claim Maury Island is a hoax? Edward J. Ruppelt, one time head of the U.S. Air Force Project investigating flying saucers, identified it as a hoax. Please keep in mind the Maury Island episode took place in the Summer of 1947. Ruppelt took charge of Project Bluebook in 1951 and wrote The Report on Unidentified flying objects in 1956. Time seems to have blurred his memory, and he admitted that this was "the era of confusion." Dr. Edward Condon was convinced that it was a hoax. In his Scientific Study of Unidentified Flying Objects that was neither scientific nor a study, he discusses the Maury Island case in 115 words and uses the "H" word three times. Condon's staff member William Hartmann agreed with Condon. In his 155 word analysis he uses the "H" word 4 times. And where did Condon and Hartmann get their information? From Ruppelt. And, oh yes, Jerome Clark agrees with Ruppelt and Condon. So, if you want to side with the CC&R's (Condon, Clark and Ruppelt) its your choice. On 21 June, 1947, three days before Kenneth Arnold reported his observation of a formation of objects traveling like a saucer skipped across the water, a significant event occurred. In Puget Sound harbor, between Tacoma and Seattle, Washington, Harold A. Dahl, his teenage son Charles, two other crew members and the family dog were patrolling for salvage logs when they saw six huge doughnut-shaped objects in the sky. The objects appeared to be about one hundred feet in diameter and of a bright metallic appearance. Five of the objects were circling a sixth, which looked as if it were in difficulty. Suddenly, there was an explosion, and the sixth vessel discharged a quantity of metallic residue. Flakes of material similar to aluminum and some additional material (which resembled cooled lava) fell around them. Some fragments hit the boat and caused damage, one fragment injured Dahl's son and another killed the family dog. One of the circling discs approached the malfunctioning disc and in some fashion "jump-started" it. All of the discs then rose rapidly and vanished. Dahl reported the incident to Fred Lee Crisman, who contacted Ray Palmer. Ray Palmer then sent Kenneth Arnold $200 to investigate. $200 seemed like such an enormous sum that when Arnold bragged at the office of the Idaho Daily Statesman, the editor sent a telegram to Air Force Intelligence to report about the event. On the 1st of August, two Army Air Corps Officers, 1st Lt. Frank M. Brown and Capt. William L. Davidson, who had been sent to investigate the incident, were killed when their B-25 carrying the photographs and some of the alleged UFO residue mysteriously crashed. On the 3rd of August Kenneth Arnold's airplane was sabotaged, and he narrowly escaped being killed in a crash. Paul Lance, the Tacoma Times reporter, died in "...two weeks ... and the cause of his death was not clear...he lay on a slab in the morgue for about thirty-six hours while the pathologists apparently hemmed and hawed." A short time later, Ted Morello, The United Press stringer at Tacoma, also died. Ray Palmer, Editor of eight Ziff Davis Publications, and who had increased circulation of Amazing Stories from 80,000 to 130,000 and initiated the Maury Island investigation was fired. The Tacoma Times, a newspaper in business over 40 years went out of business. The Army Air Corps intelegence officer at Hamilton Field made the following recommendation in regard to Fred Crisman. "That in view of the reported statements made by Mr.Crisman that consideration be given to revoke his Air Reserve commission and flying status as an undesirable and unreliable officer...". Lt. Colonel Donald Springer, Report of 18 August 1947. But we know Crisman served thirty months flying in the Korean War. Crisman also claimed wartime experience in the OSS. DID CRISMAN USE THE RESIDUE AND HIS PRIOR OSS EXPERIENCE TO BECOME A MEMBER OF A SPOOK TEAM? UFOs seem to malfunction with about the same frequency as automobiles on a California Freeway. On 21 June Dahl reported a UFO with an apparent mechanical difficulty. Thirteen days later, on the 4th of July, a UFO crashed at Roswell. One might suspect that of all the UFOs in the universe, the one most likely to crash is the one that had exhibited prior mechanical trouble. UFO lore often mentions the "jump-start" maneuver. Sometimes it produces successful results, sometimes it ends in disaster. The maneuver begins when one craft appears in trouble and decends towards the earth in a "falling leaf" motion. A second craft approaches, and "kisses" the first hull to hull. With this "kiss" an immediate effect is noted. 21 June 1947, Maury Island, Washington. One craft drops residue, both fly away. 4 July 1947, Roswell, New Mexico. One craft crashes at Roswell, the other at Corona. 9 April 1952, Pensacola, Florida Both craft crash into the sea. May 1952, over the North Sea. One craft crashes at Spitzbergen, Norway. The other craft crashes at Heligoland, Germany. 12 September 1952, Flatwoods, West Virginia. One craft crashes into small pieces. The second craft apparently manages repairs and flies. 13 December 1954, Campinas, Brazil. One craft drops residue, both fly away. 1975, Bogota', Colombia. One craft drops residue, both fly away. While the Maury Island episode occurred first, it was not investigated until three weeks after the Roswell crash. This was time for the cover-up team to have the benefit of the Roswell experience. This time instead of labeling the incident a misinterpretation, they simply called it hoax. One original cigar box of fragments was mailed by Dahl to Ray Palmer. This box was stolen from Palmers office. (What sort of thief wants a cigar box of slag?) Before it was stolen, Palmer sent it out for analysis. The results indicated it was neither slag nor natural rock. Kevin Randle picked up a piece of material from the Roswell Crash site, it looked like grey pumice, had no weight to it, some stratification, and seemed very tough. "a sort of aluminum-like foil...."
"something on the order of tinfoil...."
"like lead foil in appearance...."
"Immediately following this sound the center aircraft began spewing forth what seemed like thousands of newspapers from somewhere on the inside of its center. These newspapers, which turned out to be a white type of very light metal, fluttered to earth, most of them landing in the bay." "We also picked up some of the metal which looked like falling newspapers. ... I related our experience to Fred L. Crisman...we gave him the camera with its film and the fragments of metal we had loaded aboard as proof of our story." "I don't have any of the white material here but Fred Crisman has a whole box full in his garage." "On arriving at Maury Island I did find all the debris, lava rock and some of the white metal that Harold had told me about." "...asked Crisman for some of the white metal as well as other fragments he had stored in his garage." "The next morning, July 31, Captain Smith and I were awakened by Crisman and Dahl. Their arms were loaded with heavy rock fragments and Crisman had a number of pieces of the white metal that he said came from the aircraft that Dahl had spoken about. Fred Crisman handed us a piece of the white metal. Both Smith and I would grant that it was very light, but no more than the ordinary aluminum which certain sections of large military aircraft are made.... This piece of metal did not correspond with Harold Dahl's original description of the extremely light white metal." "Major Sanders got up from his chair and made some remark about the fragments on the floor. He nonchalantly started picking up a few ... Major Sanders had gathered up all the pieces and piled them on top of several towels. He started to bundle them up, stopped short, turned to me and said, We don't want to overlook even one piece. I would like to have them all. The Major put out his hand to Captain Smith for his piece..."
Arnold describing the last day in the Hotel. Dahl gave ALL the shiny metal to Crisman and Crisman apparently switched it with some old scrap aluminum. Under no circumstance was Major Sanders from Army Intelligence of McChord Field, going to allow any residue to be retained by Arnold and Smith. AGAIN : WAS CRISMAN ABLE TO USE THE RESIDUE AS A DEVICE TO MAKE HIMSELF AN ASSET? Fred Lee Crisman went on to lead a peculiar and interesting demi-monde life. In 1968, less than two weeks before he was subpoenaed by New Orleans' D.A. Jim Garrison in regard to the Kennedy assassination his car was riddled with bullets as he drove home late at night. In the 95th Congress at the hearings before the select committee onassassinations, it was suggested that Crisman was one of the three tramps at Dealy Plaza. In his autobiographical memoir, Murder of a city, (written under the pseudonym Jon Gold), Crisman details his relationship with Marshall Riconoscuito, the father of Michael Riconoscuito, the infamous informer to conspiracy researcher Danny Casolaro.